Why Should I use TCC? Unlike other services, we work with YOUR budget. No pre-set packages that may fall way out of your budget. You tell us how much you can spend and we try our darndest to stay within or very close to your budget. We also test and visit every mascamp, accommodation location, and fete so we KNOW what we're talking about. We are all 100% Trini and hence are kept in the loop 100% of the time. What is the TCC fee? TCC fees are non refundable service fees. 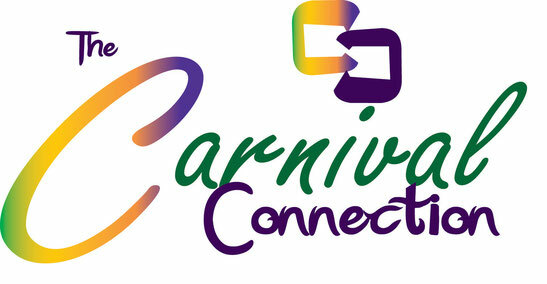 Each part of our service attracts a fee whether it be accommodation booking or overall Carnival planning. We know you imagine the Caribbean to be pristine beaches, cows and goats in the road and swaying hammocks in the wind. Scrap that. Trinidad is a fast paced island which goes into a frenzy during Carnival. With that said, the price of everything triples. Many people find that the week before carnival they can get accommodation at US75/night. That same accommodation, between Carnival Wednesday and Ash Wednesday, skyrockets to US250/night. As such, excluding flights, US$1800 to US$2000 per person to cover accommodation for up to 7 days, events and costumes would be described as a tight budget; but not impossible. US$3000 and up per person would grant you the flexibility of staying within Port Of Spain, going to All Inclusive (premium drinks and food) parties/events and your choice of a costume in a popular band. Madness and Energy. Fun and Smiling Faces. Endless Sleepness nights. Parties, Strangers and Friends. Unfortunately, there are 10,000 other people globally whose lives revolve Carnival. They begin planning their Trinidad Carnival experience from March the preceding year. Yes... March. Some from Ash Wednesday! With that said, ideally you should start looking into your flights and accommodation by April/May the preceding year. The best times to travel is the Wednesday/Thursday before Carnival till Ash Wednesday(or the Wednesday right after the conclusion of the festivities). Carnival Bands and Costumes start launching in July (6-7 months before the actual parade), so once you have your flight and lodgings covered, you are free to take your time with the rest of your planning. Carnival Costumes, or 'pretty mas', are one of the major draws to Trinidad and Tobago Carnival, besides the fetes. Although an optional part of Carnival, these costumes are highly sought after due to their general aesthetics as well as the amenities offered by Bands when a costume is purchased e.g. all inclusive food, drinks and snacks. Every year, Carnival Bands come up with a theme and produce costumes to represent these themes. Costumes can be basic e.g. without a headpiece or very elaborate with back pieces, collars and arm and leg pieces. The Parade of the Bands is actually two days long...ALL day. Traditionally, the costume was worn on both days, but, there is an increasing trend of 'Monday Wear' designs taking Carnival by storm. The carnival costume is worn during the Parade where you jump, wave, and display your costume to spectators and judges. The Band with the best costumes and presentation is awarded the Band of the Year title at the end of the festivities. J'ouvert, unlike pretty mas which is full of beads, feathers and splendour, is celebrated under a cloak of darkness in the wee hours of the morning with oil, paint, mud, powder. The parade is held through the streets in all of our muddy splendour between 3am and 9am celebrating the opening of Carnival. Throughout your planning experience, you will hear locals and foreigners alike urging you to try 'this' fete and 'that' fete. A 'fete' is essentially a huge party. Some can be as large as an outdoor rave and some can be intimate, however, the word 'fete' covers the umbrella of terms used to describe parties during the Carnival period. The best fetes are those where tickets are near impossible to get and usually sells out online in a couple of hours. The overarching theme for Trinidad Carnival is 'start early, be prepared'.